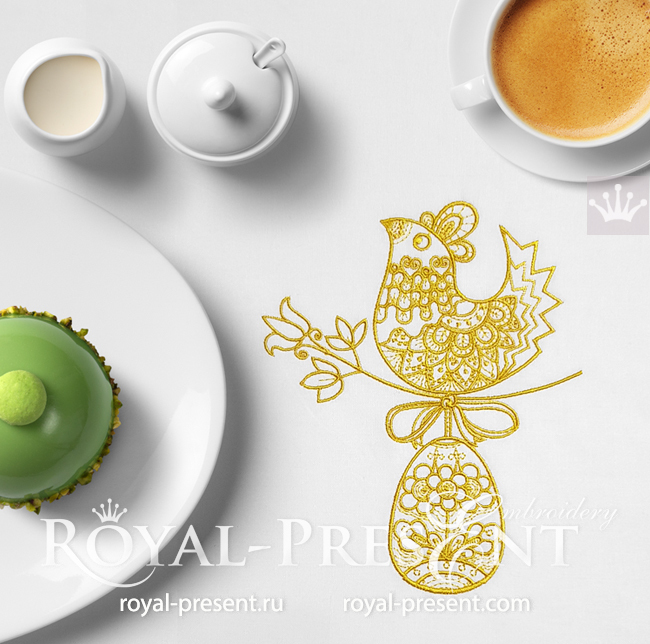 Gold Easter Hen with Egg Machine Embroidery Design will allow you to create original attributes for celebration. 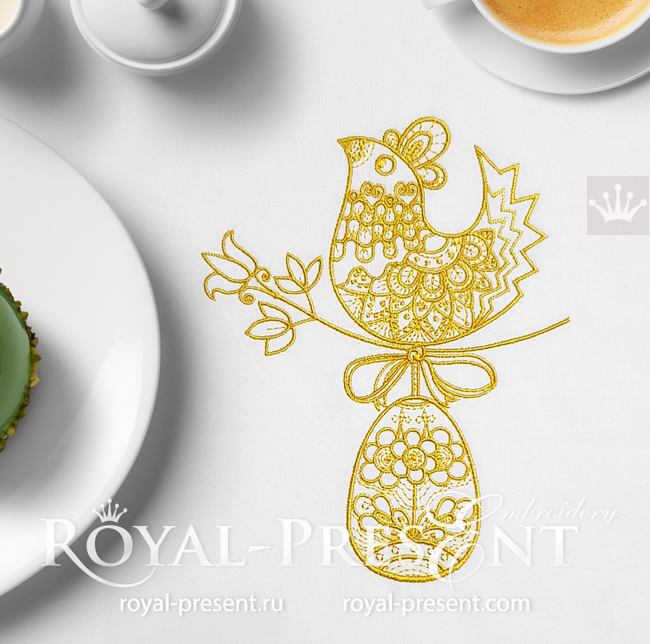 Bags for Easter cake, Easter towels or napkins, tablecloths or table runners will get notes of special festivity. 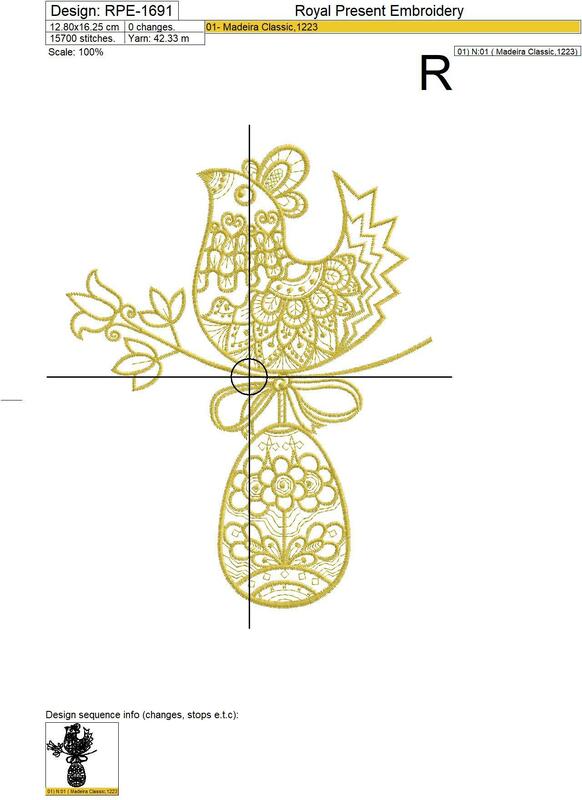 This design has been tested and reviewed to ensure top quality. Test stitch the design, or portions of it, before stitching it onto your final item, as results may vary depending on fabric and stabilizer combination. Please don't sell or trade the embroidery file.